Charlotte, N.C. (January 16, 2019) – Lewis Brisbois is pleased to announce the opening of our latest office in Charlotte, North Carolina. Located in the Ballantyne Office Park, the new office joins Lewis Brisbois’ Raleigh office in the Tar Heel State, increasing the firm’s ability to service its clients on the Eastern seaboard. The office will be headed up by Managing Partner Kevin Parsons, previously of ParsonsSumma, who has over twenty years’ experience representing and advising employers of all sizes in nearly every aspect of labor and employment law. Mr. Parsons will be joined by Associate Philip Hinson, who also offers labor and employment law services. Kevin Parsons: A graduate of the University of Nebraska and Notre Dame University’s School of Law, Mr. Parsons has over two decades of experience in labor and employment law. He represents employer-clients, ranging from large business to small start-ups, on virtually all aspects of labor law and throughout every stage of critical and complex employment law disputes. 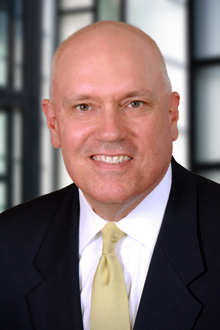 Mr. Parsons has been recognized by Super Lawyers every year since 2009, and has been repeatedly elected by his peers as among North Carolina’s Legal Elite for labor and employment law published in the Business North Carolina issue of the state’s best attorneys. After graduating from law school, Mr. Parsons served in a judicial clerkship for United States District Court Judge Robert D. Potter in the Western District of North Carolina. He is admitted to the Bar in North Carolina, Georgia and the US Supreme Court, as well as the United States Courts of Appeals for the Fourth, Seventh and Eleventh Circuits, and the United States District Courts for the Western, Middle and Eastern Districts of North Carolina and the Northern District of Georgia. He is also a permanent member of the Fourth Circuit Judicial Conference. Philip Hinson: Mr. Hinson is a graduate of Wake Forest University and Campbell University School of Law. His practice involves defending clients in a wide variety of employment disputes, including claims of discrimination, harassment, retaliation or other violations of Title VII of the Civil Rights Act of 1964, the FMLA, ADA, FLSA, the False Claims Act, and other federal and state laws. Mr. Hinson has also represented employers in trade secrets protection act claims and enforcing non-compete and other restrictive covenant claims. After graduating from law school, he served as law clerk to the Honorable Graham C. Mullen, Senior United States District Court Judge for the Western District of North Carolina. Mr. Hinson has been recognized by Super Lawyers as a Rising Star, and he is admitted in North Carolina and the United States District Court for the Western District of North Carolina.